Are you ready to separate your work and personal documents? Archive your 'body of work'? Prepare for retirement, a different role or even a new district? 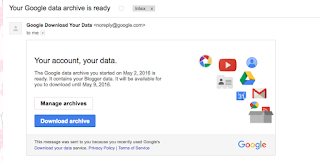 Google Takeout is your friend!! 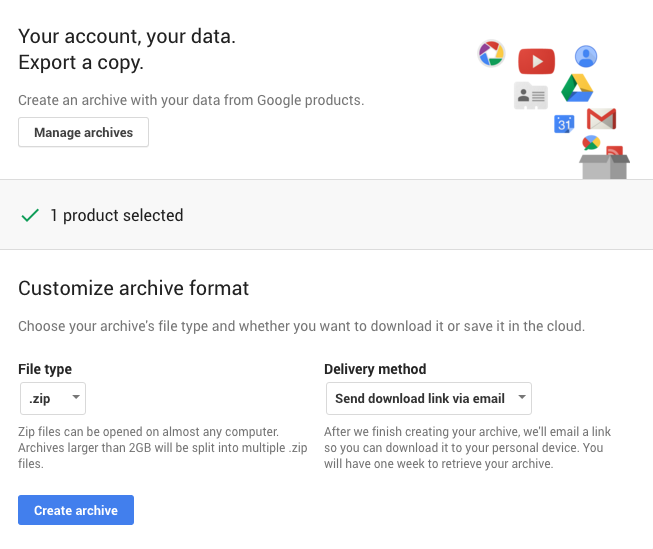 Google Takeout will create an archive of all of your Google life - from bookmarks to documents to YouTube videos! 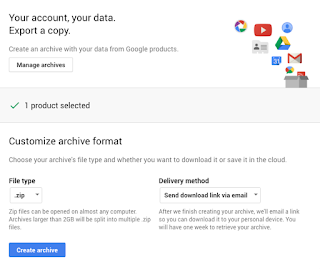 Once this archive is created, you can upload it into your personal gmail and have access to copies of all of the items that you created. YOU CREATED ... that's important to note. 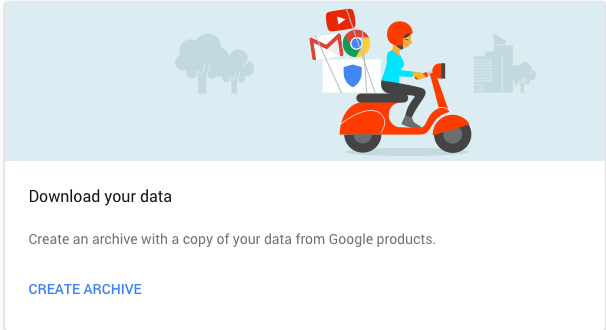 Google Takeout only works for items that are yours - not items that are shared with you. DISCLAIMER: Please be responsible when archiving items that contain data private student information. 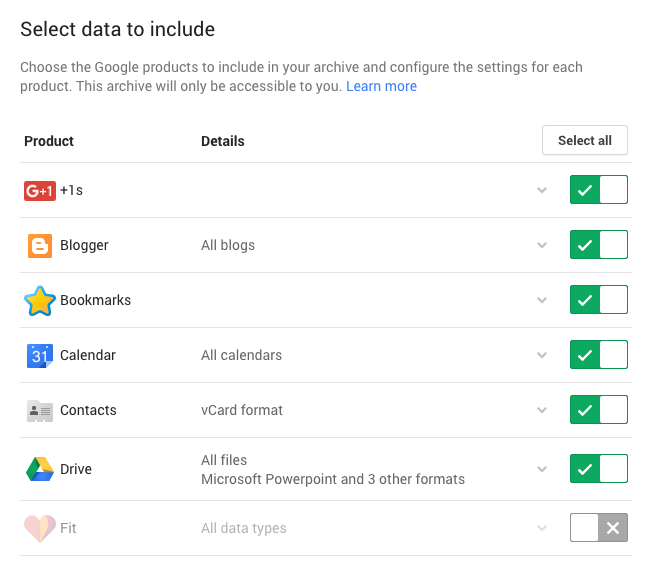 3) Choose which data to include - you can see I've opted out of Fit as it's not a Google tool that I use! 5) On the next screen you'll see some questions before the archive actually begins. Option 1 is to choose what kind of file is to be created. Zip files will work best for our purposes. 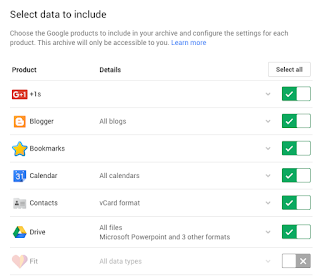 Option 2 is to indicate how you'd like to be notified of your archives availability. I recommend email. Once you've got these set click on Create Archive. 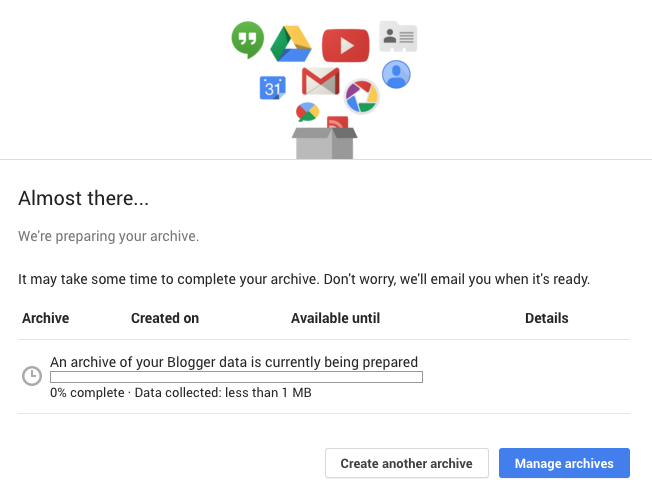 6) Now you'll see a screen that indicates that your archive is being created. This can take some time if you've got lots of documents, pictures, etc. 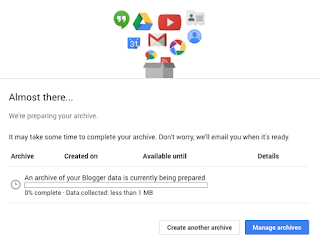 You can leave this screen once you get to this step as you will receive an email once the archive has been created. 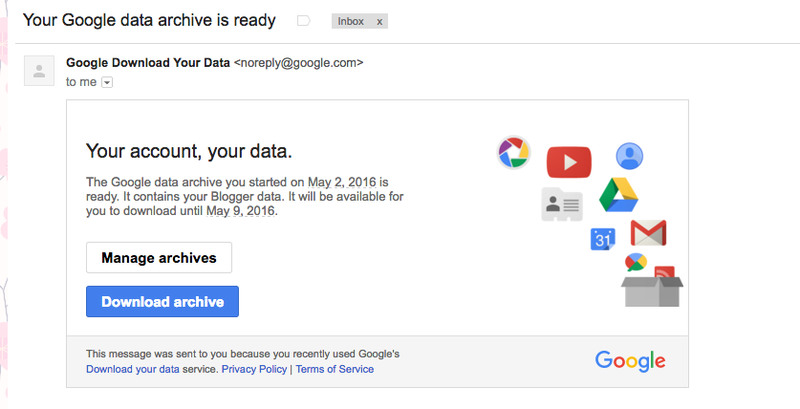 7) Once your archive has been created you will see a screen like this (or get an email). This is where it's time to make a decision - you can download it and put it on a jump drive, burn it to a CD or sit at a machine where you can download and then promptly upload. 8) Here's an example of what it looks like once you've clicked on the Download button. In the first picture you will see that the .zip file has downloaded into my downloads folder. In the second picture you will see the results of me "un-zipping" the file. 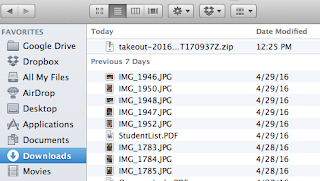 In the second picture you will see a file called Takeout. 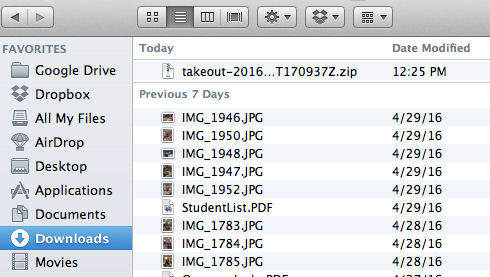 Inside of the Takeout folder is an archive of my Blogger posts. As always ... if you have questions or need help, let me know!